Jerk... Anything you can make with Jerk spices is just FUN to say. And of course, Jerk Chicken is a classic from the islands "mon". So, slip on a little Bob Marley tune and let's combine the Jamaican classic with the workin' (wo)man's friend...the crock pot. But first a word about Jerk Spices/Rub. I am using a store bought dry spice mix. I went for convenience in place of traditional. This recipe was inspired from a more traditional and complete post from fellow blogger, "Taste For Adventure". If you follow the blue lettered link to that post, you will see a very detailed how to post on making your own traditional Jerk wet rub. I also suspect that the traditional recipe of Taste for Adventure would be more spiced than what I was willing to serve to my hard working wife with the inconvenient day job. This soup is spiced, but not so spiced that my more delicate wife's pallet was scorched. By using a dry mix I was more able to control the heat. He was also using raw chicken and making the soup in about an hour. And I also got to use a bottle of my Home Town Brew's Christmas offering, Kansas City's own Boulevard Nut Cracker Ale in the recipe. Jerk, Beer and Bob Marley! 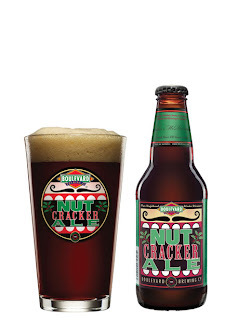 1 Bottle Beer, I used Boulevard Nut Cracker, the heavier the better. Fire up the Crock Pot. I was doing an 8 hour cook session, so I set the machine on Low. If I was doing a 4 hour cook, I would set on High. Add the Chicken Stock, Beer and Vinegar. Meanwhile, Over medium high heat, in a heavy skillet, melt the butter. Add the Onion chunks and saute for 5 minutes, until the onion has softened and become translucent. After 5 minutes, add the garlic and saute another minute. Add the Flour to the butter/onion mixture to make a thickening roux. Stir continuously for 3 minutes. Transfer the onion/roux to the crock pot liquid, stir. Add the Carrots and Celery and stir. Add the sweet potatoes and stir. Cover and leave for 8 hours. 1 Hour before serving, remove the chicken meat from the bones, dice into chunks and roll the chicken through the jerk spices to coat. Add this to the crock pot, stir. 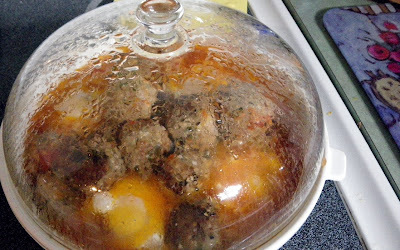 Cover and allow to simmer for another hour. Makes a GREAT sandwich or wrap! Eat a bunch, it's a lunch! And it really is about as easy as it gets. Puff pastry, cheese, a few Walnuts and a quicky creamed spinach and you have a nice little Appetizer/Snack/Sandwich/Lunch/Soup partner! Heat a medium size frying pan over high heat. Add the oil and Kale. Saute until the kale has wilted completely, about 5 minutes. Add the cream and stir to mix. Add the walnuts, and both cheeses and stir until the cheese has melted. Place the sheet of puff pastry on a lightly floured work surface. Roll it into a roughly 12x12-inch square, lifting and turning as you go to ensure it's not sticking. Then spread the Kale/cheese mixture in an even layer. Roll the puff pastry like a jelly roll and pinch to seal at the seam. Cut the roll into approximately 20 1/2-inch slices and place on the prepared baking sheet. I like a good soup as much (maybe more) than the next guy. But i also like to have a little something extra (sandwich) to go along with the soup. Like these! Cheesy, nutty, the illusion of health with the kale superfood (ignore all the cheese and cream, it's healthy! But, of course, best of all is the taste. Earthy walnut and kale taste, Nutty cheese from the Parmesan, the smoked flavor added to the gruyere, the buttery flaky texture of the puff pastry and you have a real treat. One of the great mysteries in my life... Why are there always LONG lines waiting for tables at the Olive Garden Restaurants? Ah well, at the least the place does provide inspiration for serving up something special. And this soup is special, instantly became one of my very favorites. 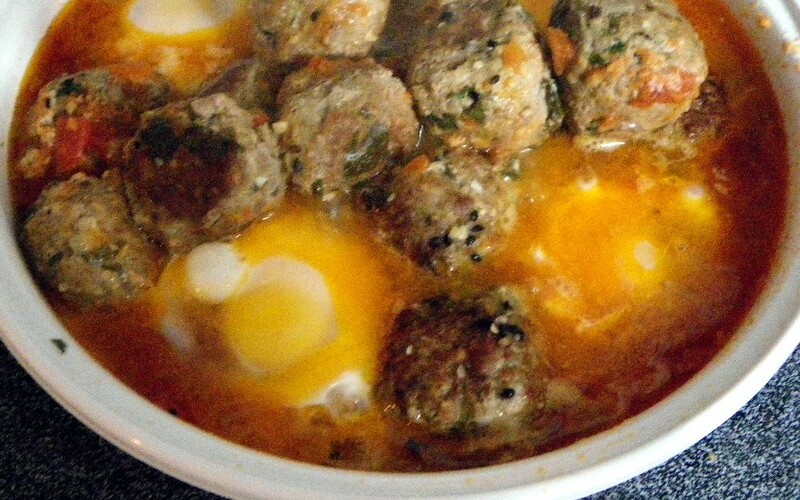 This is an Italian Sausage based Potato soup, LOADED up with so much, it might qualify as a stew. And shredded up bits of Kale added at the end of the cook provides vibrant colors for a beautiful presentation while adding a hearty healthy "Superfood" to the pot! I saw this soup posted on the "Jamie Cooks it Up" Blog (click the blue letters to see her version... probably a little more authentic to the Olive Garden version). I did a little Internet search and found several slightly different versions. But primarily, as I said, this is a Sausage soup... So be sure to get some top quality Italian seasoned sausage. Thin sliced potatoes add bulk and the base is chicken stock, thickened with cream. i am not sure where the line is drawn between a soup and a stew. Usually in a stew the thin sliced potatoes would be chunkier and the sausage would be sliced thicker with a casing. So I will not try to say STEW, but I made a big change in all of the copy cat recipes of the Olive Garden soup and cut the liquid in half. I also adapted to make this in a crock pot, although there is a bit of slicing and dicing cooking that takes place in the last 10 minutes before it is ready to serve. One more big addition to my adaptation is a quarter cup of shredded Parmesan Reggiano Cheese. 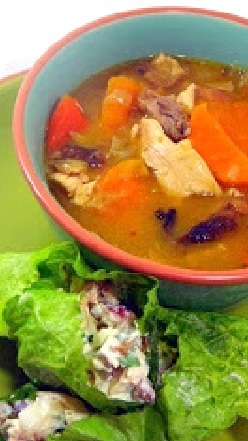 Set your Crock Pot on Low for an 8-10 hour cook time, High for a 4-5 hour cook time. In a large frying pan, brown but do not over cook a pound of Italian Sausage, combined with the Red Pepper Flakes. All you want to do is render out the fat. The sausage will cook all day, so do not cook until well done. 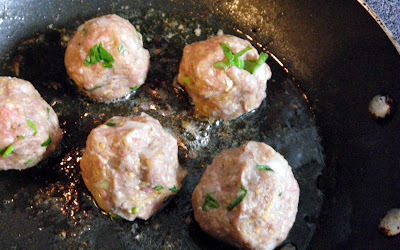 Remove the sausage from the pan and add the onion to the HOT pork fat rendered from the sausage. Saute until the onions are soft and are turning translucent. Add the garlic and saute for one more minute. Add the Flour to make a thickening roux. Stir continuously for 5 minutes. Move the sausage, Onion mixture to the crock pot. Add the Chicken stock and Heavy Cream and stir to mix. Add the Potatoes, stir to mix and cover and heat for 4 hours (on high) or 8 hours (on low). 10 minutes before serving, add the cheese and now stir to combine everything. Heat until the cheese has melted. 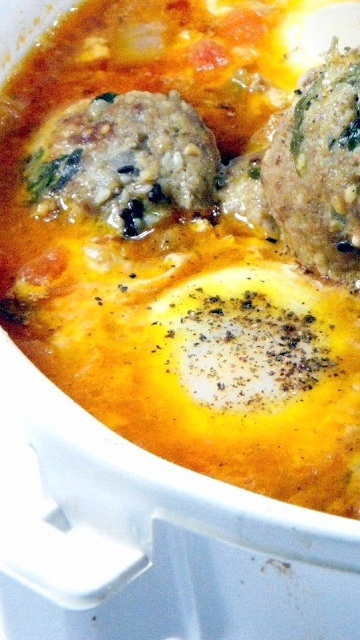 This is a DELICIOUS, very filling soup. Come back tomorrow and I will tell you of the little sandwiches I served with this (Kale and cheese Pinwheels) that were very easy and paired perfectly! I have seen versions of this idea floating around Pinterest for awhile now. This is probably a technique as opposed to a recipe as just about any type of sandwich or bread dip can be adapted to this idea. Most recently I saw this on the exPress O Blog (a Little Bit of Everything). 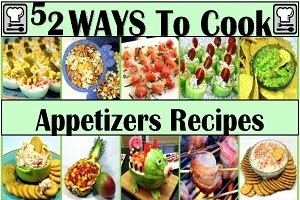 Diana's blog is indeed, as advertised, a little bit of everything, crafts, home styles and RECIPES... like this one. If you follow the link (Blue Letters, or click on the photo to the right, it links to her blog post), you will see her Bloomin Gooey Cheese Bread, as well as links to other bloggers with different takes on this idea... Like a mushroom or different style onion loaf. The actual idea for this uses a loaf of store bought bread (NOT sliced). It is a LARGE loaf appetizer, designed to be a pull apart bread for something social (like a party! I think that is a great party idea and I certainly have it filed away for the future. BUT, I was after something a little different. Just last night I had made a really good Zuppa Tuscana (a sort of potato and Italian Sausage soup...I'll do that recipe tomorrow). I made a pinwheel sandwich for that (probably will do that recipe the day after). I had a BIG bowl of leftover soup (that was better the second day), but did not make extra pinwheels. SO, I decided a much smaller version of Diana's party appetizer would look dramatic and work well with this soup that needed no dipping bread. Just a sandwich to pair with the soup (almost a stew, but we will talk about that tomorrow). So, I baked up a batch of my favorite buns. One LARGE bun that I will be slicing into sandwich worthy bread (oh boy, chicken salad for lunch!). A couple of Buns for an egg and onion sandwich. And a couple to make this EASY and SPECTACULAR and yummy sandwich. Kind of a combination of a chicken and cheese sandwich and one of those pretty Bloomin Onions from Outback Steakhouse. First, I removed a breast from a store bought, Fully Cooked, Fully Seasoned Rotisserie Chicken. then I sliced it as thin as possible. Sharp knife is a must, or use a bread knife. I also had some shredded Smoked Gruyere Cheese that worked AMAZING! I also poured 2 TBS of melted Butter in between the spreading bread cubes. Wrap this in aluminum foil and bake sealed for 20 minutes (350 preheated oven). After 20 minutes, open the foil and return to the oven for 10 minutes more so the bread toasts. This worked GREAT! Of course the taste was terrific... Chicken, and smokey cheese makes a terrific toasted cheese sandwich. It was small enough to serve as a sandwich and just take bites from. Or, as Diana did in her post, works great as a pull apart grab and snack dish. Now I am thinking this with a nice Tomato Soup so I can toss the pieces in as chicken and cheese croutons. Now that sounds good! So, here it is. One of my new all time favorite sandwich displays! FILLED with flavors, and just plain DELICIOUS! It really does all come together quickly... The first one took a few minutes to figure out, but the second took only a couple of minutes to assemble the rest is all oven work. . Even easier if you use one of my beloved Store Bought, Pre-cooked, Pre-seasoned Rotisserie Chicken. Here's a nice little snappy alternative to the more common pasta and red sauce. Best of all, this literally is finished in about 10 minutes... Just as long as it takes to prepare the pasta. And of course, made extra fast with the use of a Rotisserie Chicken. I have three pots used in the recipe, but if you are not in as much of a hurry, this can easily be a one pot meal. Cook the Pasta according to the directions on the box. I always cook for one minute less than suggested for a nice al dente texture. While that is cooking, Fry the bacon. While that is frying, in a medium/large pot, heat the butter over medium high heat. Add the flour and stir for one minute. Slowly add the Half and Half, and stir until heated. Add the cheese... Again, Stir until melted. Add the Dressing mix, and continue to stir. By now, the pasta should be done, drain and add to the sauce. Add the chicken, stir to combine! Show of hands... Who knows what a Tagine (or Tajine) is??? Here's a hint... more than a dish... more than a dish (the hint is I named it twice). Anyone... Anyone... Katie, not you... Anyone else??? Me either. 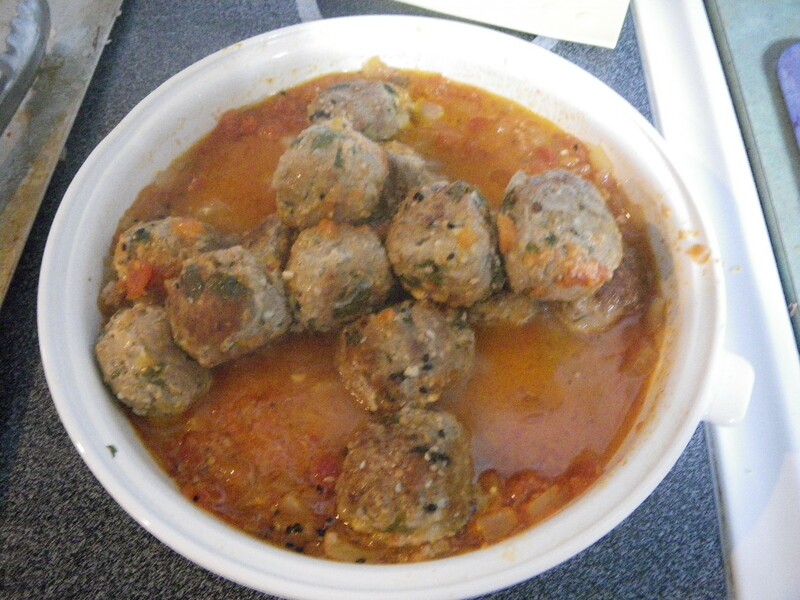 Until a couple days ago, when Katie from Thyme for Cooking, the Blog posted a version of this recipe. Katie has a wonderful blog. She is a transplanted American, living in France and restoring a French Country home. Updates on the progress of the restoration, difficulties or challenges (depends on the perspective) of shopping in a different culture, but also wonderful "real" food recipes. It is always a treat to stop in and visit. And last week was no exception. 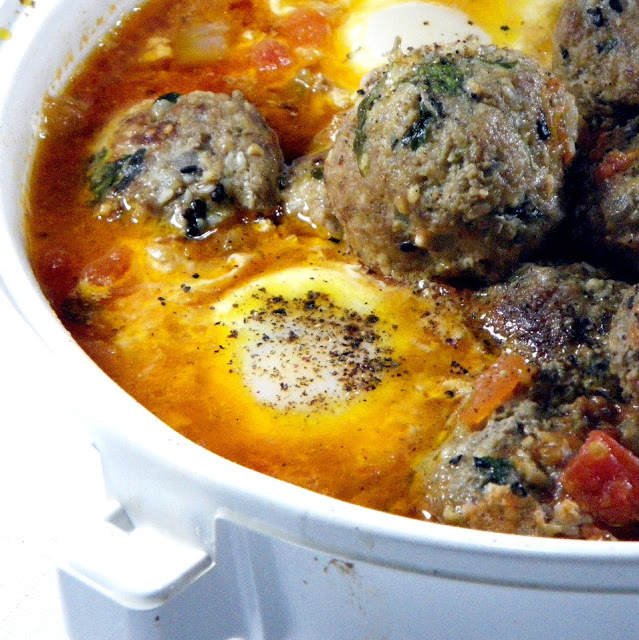 Katie posted this recipe (well, a version of it) for a Tagine, cooked in a Tagine. That's right, a tagine is a recipe, as well as a name for dish that the recipe is made in. And who knew? I had this dish in my basement. Bought at a garage sale for a dollar. I bought it for it's presentation possibilities. Maybe roast a chicken in it. I can carry a half dozen cupcakes to the neighbors in it. I had no idea it has a rich history. Dating back centuries, an authentic North African (Morocco, Algeris, think Rick's Cafe in Casablanca) tagine (or tajine) is a heavy clay glazed cooking vessel. It consists of two parts: a base unit that is flat and circular with low sides, and a large cone or dome-shaped cover that rests inside the base during cooking. The cover is so designed to promote the return of all condensation to the bottom. 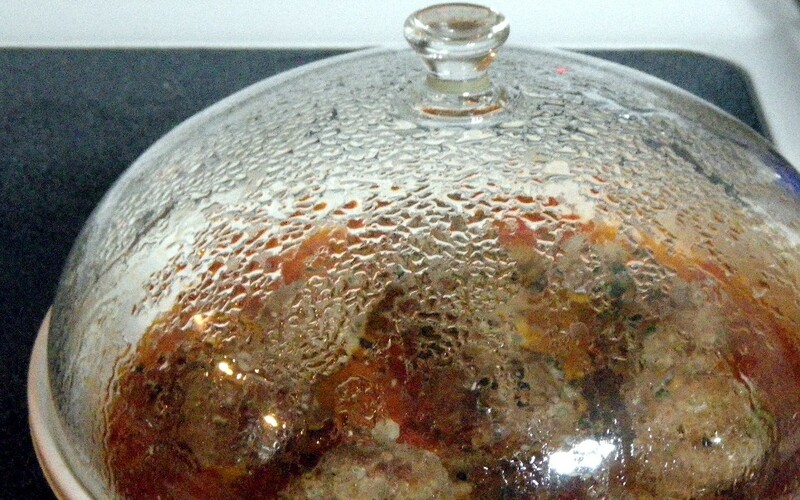 With the cover removed, the base can be taken to the table for serving. More importantly for me, this dish is also especially useful for low and slow cooking. Designed to retain all moisture, it is perfect for oven or stove top cooking of less expensive cuts of meat. You'll be seeing lots more of my Tajine in the future! As to this recipe, a little research found that it is called a KEFTA. 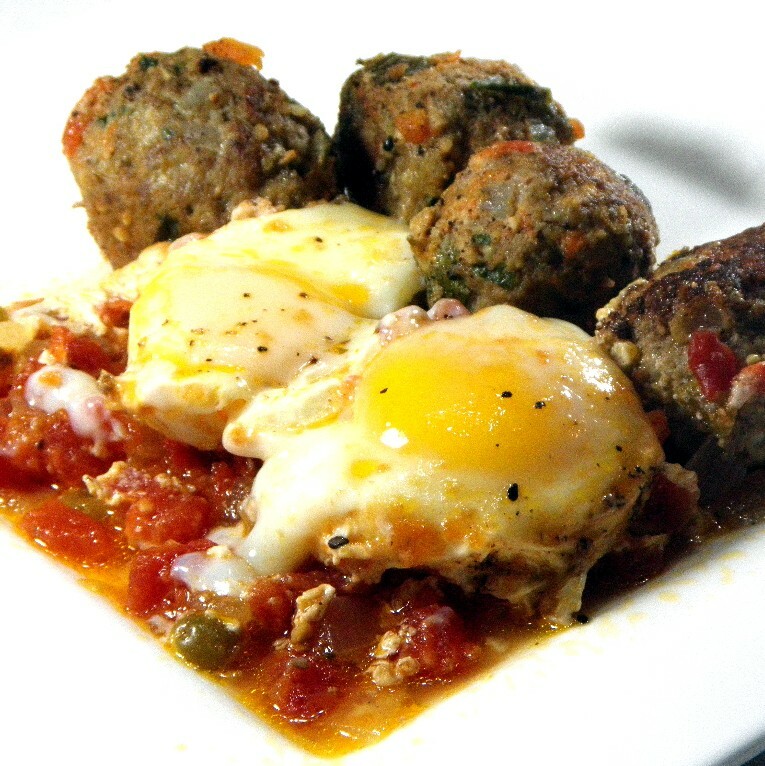 A spiced meatball recipe, served with cooked tomatoes and eggs poached in the juices from the dish. My version is true to the spirit, true to the look, but I used spices I had in my pantry, so the spices were more Cajun than Moroccan. Katie cooks with milder spices than I do. If you want to see her version, her adaptation for the cookbook, "The Food of Morocco", click HERE. My meatballs are quite a bit different from hers. 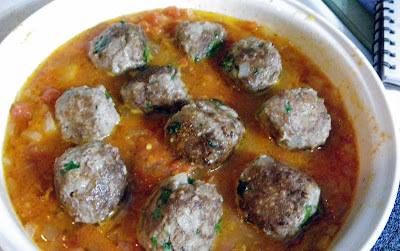 Also, I decided to brown my meatballs instead of cooking them 100% in the Tajine. I wanted to get some of the rendered fat from the meat out before adding to the stew. I also added 2 cups of my marinara sauce (I made several batches back when tomatoes where in season and froze them in 2 cup bags). This is one of those 30 minute meals. For just a second, I pondered serving this over a pasta, turning Moroccan into Italian. But, decided against that. It's my first time, decided to be as gentle as possible to the spirit of the dish. 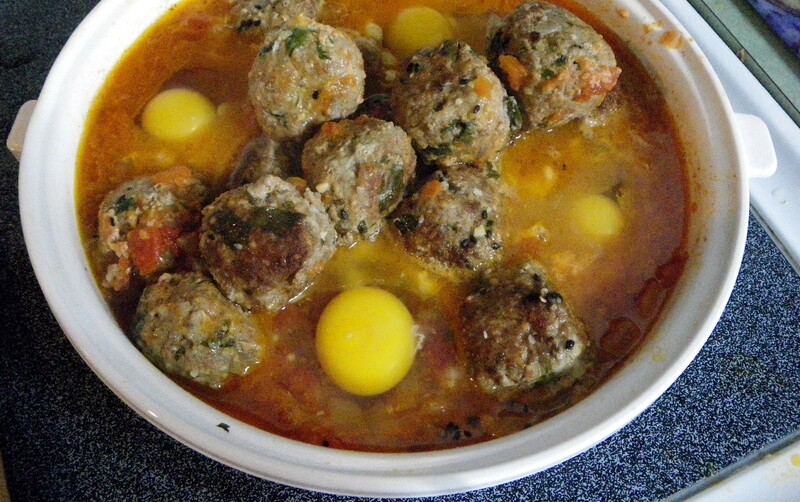 Mix well and form into meatballs @the size of golf balls. Here's my usual note about my spice mixes. I make up a batch of 3 favorites every couple of months. If there is one hint I can pass on to others, it would be to make your own spice mixes. Mine are all low salt (I am old and fat, I don't need the salt. But those of you that are young and spry, you don;t need as much salt as you are ingesting). But, equally important, the fresh spices taste so much richer than the dated little jars in your drawer. Making them in bulk means they are always around, perfect to add to a cooked egg, season some bread or just to goose up a hamburger. Of course, commercial brands are available and easily substituted in this recipe, but do look at the salt content in those. If salt is the number one ingredient... run from em. 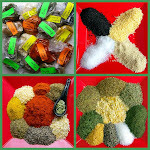 If you want to see the formulas I use, click the photo of the spices. Add the oil to the Tajine. 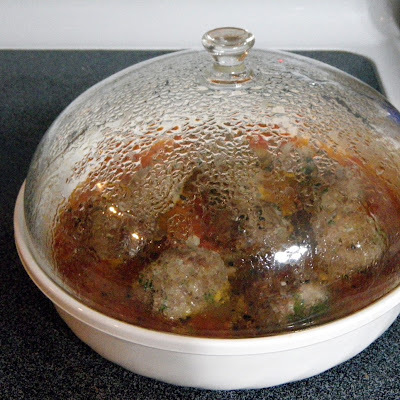 Move the meatballs around to form 4 pockets of sauce. I had so many meatballs I needed to stack them. Spoon onto a plate with a nice helping of the tomatoes, a couple of the eggs and 3 or 4 meatballs! Thanks Katie... I now LOVE my Tajine too!